Lots of catchy, upbeat songs with occasionally melancholic lyrics – classic indie pop, if you ask me. This album is also recognizably from LA. The band itself is a group of friends jamming out, and it shows. Some of the songs like “Laundry Room/Caesura” get a bit dreamy sometimes. Like the album art suggests, the songs feel like rough, simple sketches of emotions. 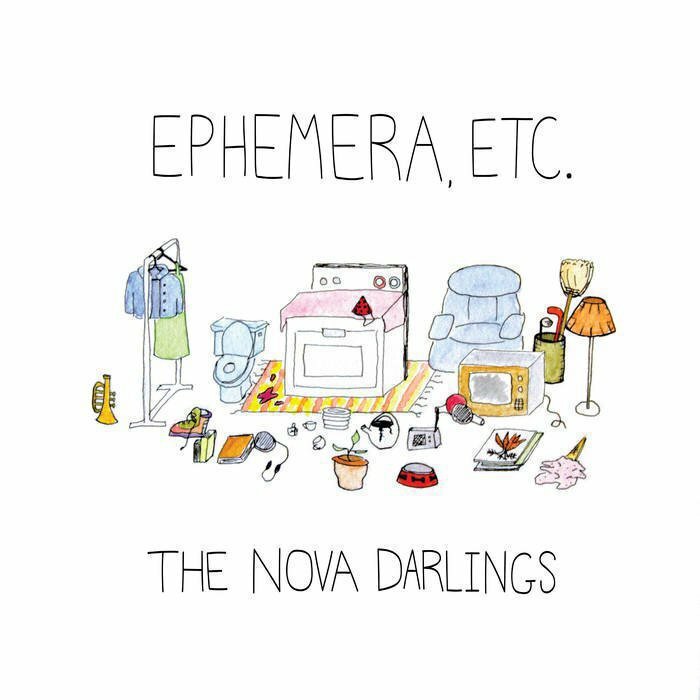 If you like Death Cab for Cutie and The Strokes, you might like these folks. There’s a distinctive style the band has, with a number of idiosyncratic chords and progressions that I didn’t expect. Track two, “A Terrible Film,” is definitely going on my road trip playlist – it’s probably the catchiest song on the album, rivaled by “Siphon,” which has a great build up and pay-off. Track nine, “Follow Your Dreams,” is probably my favorite track, though it’s quite different from the rest. Its poetic vocals remind us that we’re “going to be fine” as the instruments slowly come alive in the background. Overall, an energetic debut album. If you have a need for toe-tapping indie, this album is likely to satisfy you.